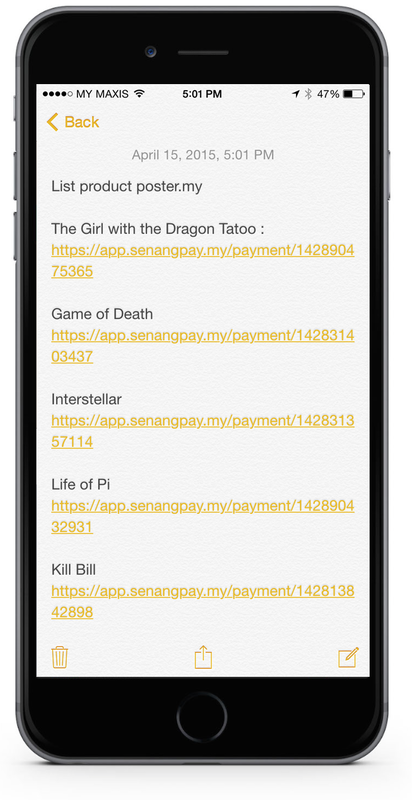 If you communicate with your buyer using WhatsApp, and tired of telling them the same thing over and over again, then senangPay will make your life easier. You can send your Universal / Unique Payment Form in WhatsApp. Buyer can buy directly from your WhatsApp message. When they click the link in the WhatsApp message, it will direct the buyer to the Universal / Unique Payment Form. 1. Your business solely relies on WhatsApp. 3. You want to sell your products or services using Whatsapp. 4. 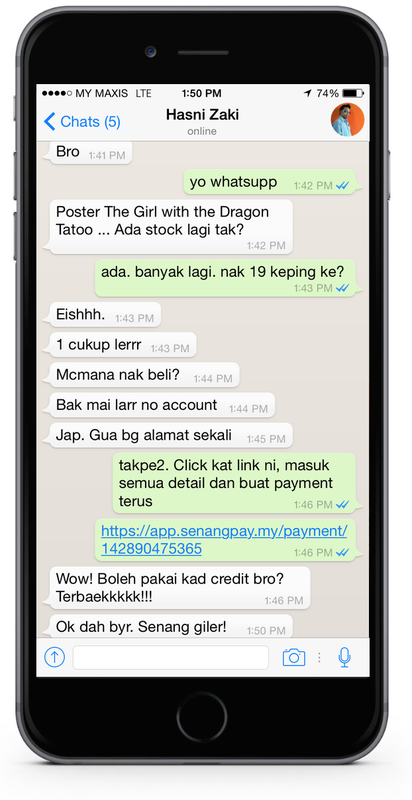 Buyer makes payment from WhatsApp message through senangPay links. 1. Unfortunately, up to this moment, WhatsApp doesn’t allow users to share image with link yet in the application. 2. 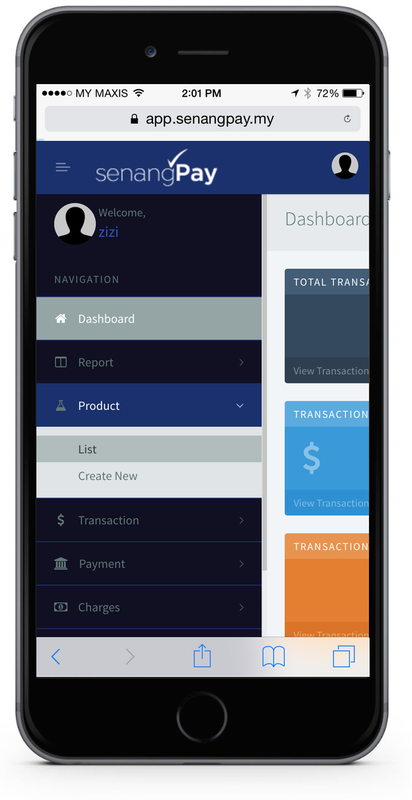 Thus, the only way to share your payment form is to share the payment form link. 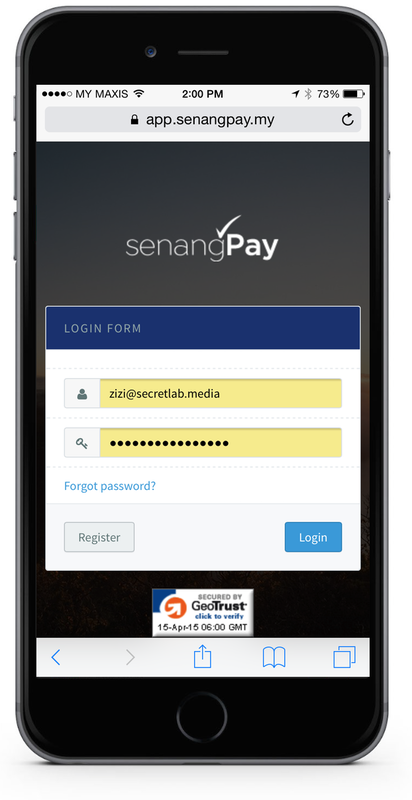 3. senangPay button feature for WhatsApp will come in the future. 1. 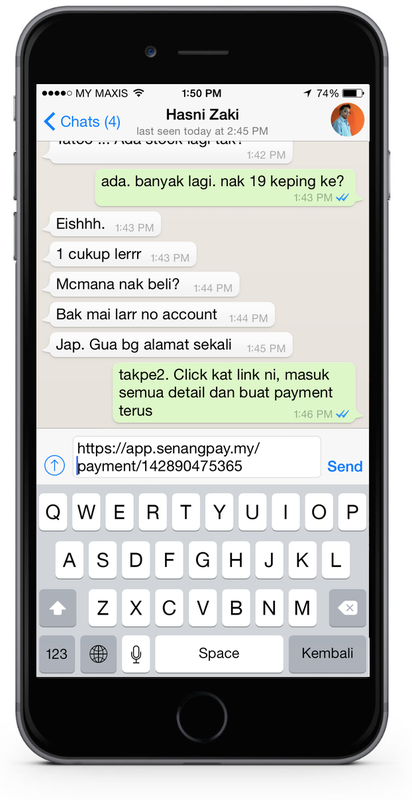 Sending payment form links through WhatsApp is as easy, and as usual, as sharing normal website links. 2. 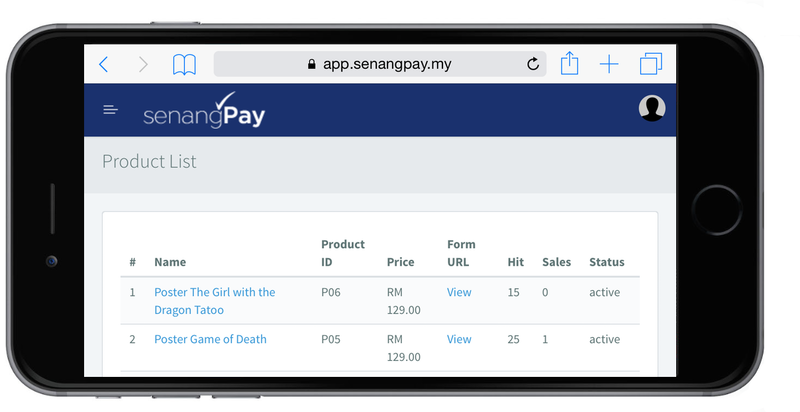 When buyer clicks on the link in the message, the payment form will pop up and they can easily make payment from the payment form. 6. A new window will open. This is your payment form. 7. Copy the URL of the page from the web browser. 1. Now open your WhatsApp. 2. On the message bar, insert the URL that you have copied earlier. 3. Click send. Your buyer should receive the link. 4. 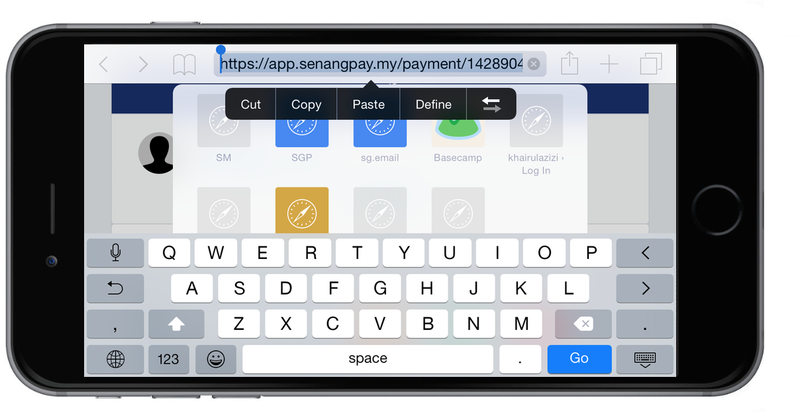 When he / she clicks on the link, they will be redirected to your payment form in their smartphone and they can make the purchase and payment, as easy as A – B – C! Oh yeah, don’t forget to ask them to scroll down. 1. 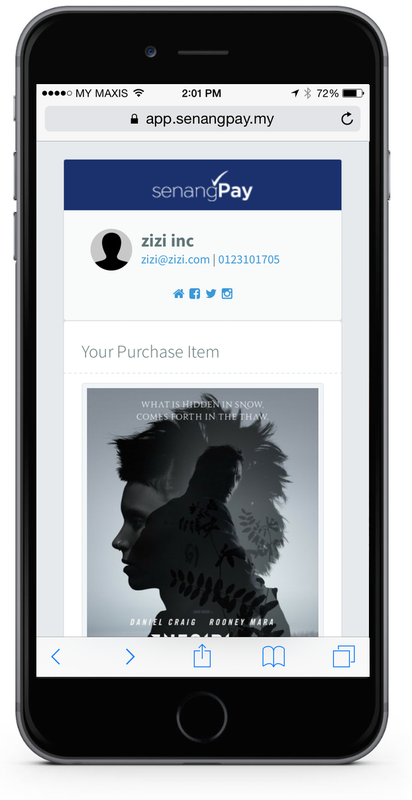 You can pre-copy all your product links from the browser to your smartphone. 2. You can use apps such as Notes (in iPhone) or in android. 3. When your buyer message you and want to buy a product, simply copy-paste the link from Notes.